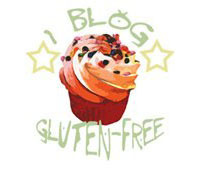 At the beginning of 2011 we started to transition the entire LUNA Protein line to be gluten free. To do this, Clif Bar & Company has looked at all aspects of making our bars. Our ingredient suppliers have confirmed that all ingredients are gluten free, so they contain no gluten from wheat, rye or barely. Where we make our food is capable of making a gluten free food and we test our finished products to confirm that they are gluten free. 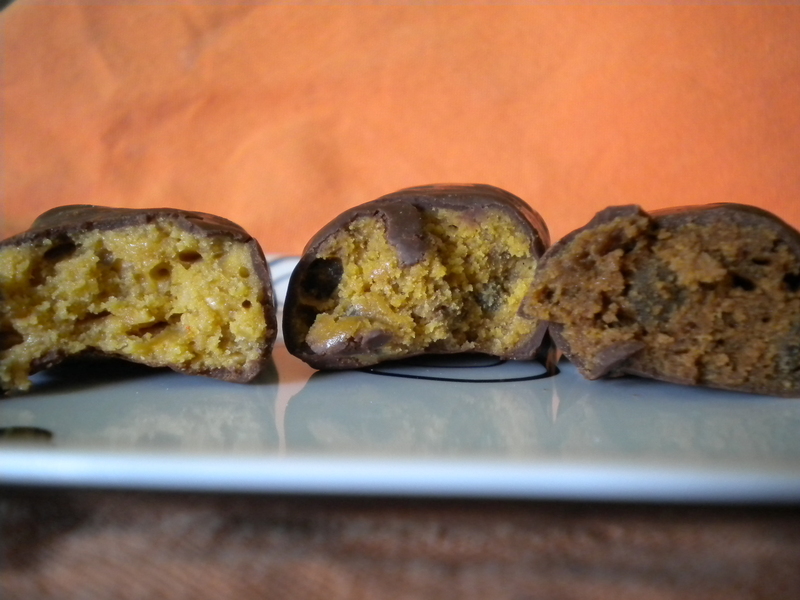 As of March 2011, Chocolate Peanut Butter, Cookie Dough, and Chocolate Cherry Almond transitioned to be gluten free, as well. 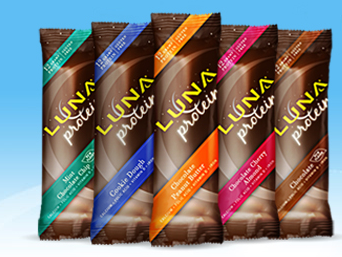 You can tell if your LUNA Protein bar is gluten free by looking at the packaging. Protein bars, overall, I think, have taken a giant leap in the last few years. The chocolate peanut butter bar has a chewy nougat center with crushed peanuts, all wrapped up in chocolate. I swear I taste a hint of butterscotch in the cookie dough bar, though I can’t find anything on the label that would suggest it. The chocolate mint one almost reminds me of my brownies when I get minty (although not as sweet). If these were a little sweeter, you might mistake them for candy. Corice definitely thinks they are candy. She likes the cookie dough one the best. I think the peanut butter is my favorite (though the cookie dough takes a close second). If you’re interested in a study about key snacking behavior trends by Luna and the Institute for the Future, check out thepowerofsnacking.com to view the report. I’ve seen these just about everywhere that sells any kind of protein bar, even in gas stations (there are a few times that I could have used a protein bar on the road).